Behind every triumph and heartbreak in the NCAA tournament, there’s a story. 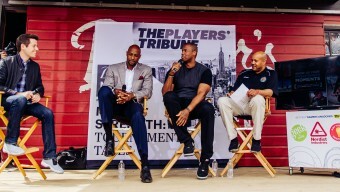 The Players’ Tribune presents Tales of Madness, a series of first-person accounts from iconic basketball players recalling their most memorable tournament experiences. 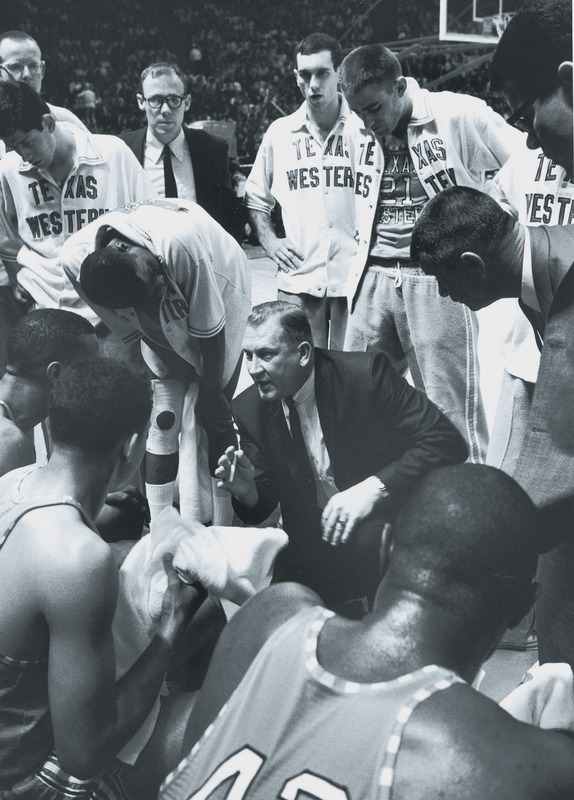 In this installment, Nevil Shed remembers how he almost wasn’t a part of two historic moments for Texas Western. I thought my basketball career at Texas Western was over. 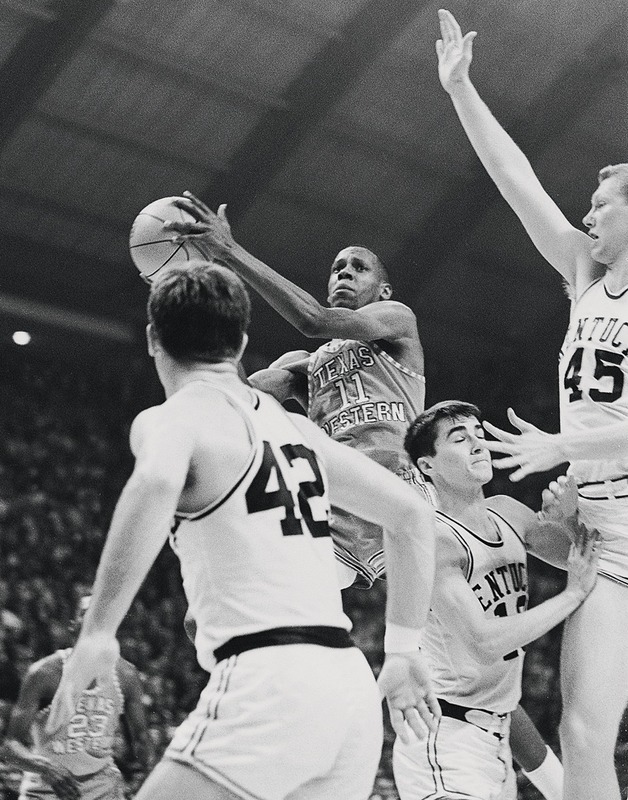 After defying all expectations and finishing 23-1 during the regular season, we were in the middle of a close game against Cincinnati during the 1966 NCAA tournament, when I began to get aggravated. After one particularly physical rebound, one of the players on the Bearcats and I got into a little bumping contest. We came into that game with something to prove. Even though we knew we could play with anybody, we heard a lot of doubt from the national media. We were a small school, so everyone was just waiting for us to be exposed. The gist of most stories being printed about us was, “Just wait until they play against this school…” But tough opponents didn’t scare us. Coach Don Haskins instilled so much confidence in that team that when the games were tight — and we played in plenty of close ones — we never panicked. As that Cincinnati player and I began to get into it a little, Coach Haskins saw what was going on and shouted at me, “Shed, you cut that out!” I pleaded with him, saying that the other player was bumping me, and he told me to just play the game. We got back on the offensive end and the gentleman decided to hold onto my shorts as I was cutting off a screen set by Big Daddy Lattin. I don’t know what came over me — I’ll just say the devil made me do it — but I decided to give that young man a roundhouse hit that landed where I intended. The referees saw it all happen, and not surprisingly, I got a technical foul and was ejected from the game. I’ll never forget how furious he was with me. He told me that I was through. And to show me he was serious, after we won the game, the team left me at the arena. Seriously, they went back to the hotel and left me behind. I called my mom to tell her what happened and she just said “Nevil, are you out of your mind? !” I was expecting some support from her, and I expected wrong. As I was talking to her on the phone, the sports information director asked me what I was doing there. I told him that coach left me, so he gave me ride back to the hotel. Our next game was against Kansas, and I was scared to death that I wouldn’t get to play. Based on the fact that I wasn’t even allowed on the bus back to the hotel after the last game, it didn’t really seem like Coach Haskins was bluffing when he said I was through. The idea of not being able to play in that game was just horrible to me, so I tried my best to avoid Coach Haskins at all costs, hoping he’d forget about everything and let me play. During the pregame meal, I tried to sit as far away from Coach Haskins as possible so he wouldn’t see me. He always had something to say to us after those meals to get us motivated. We gathered our hands in the middle after his speech, and mine was barely in there as the rest of my scrawny 6-foot-8 body tried to hide from view. Out of sight, out of mind, right? When we arrived at the gym for the game, I exhaled when I saw that my uniform was hanging in the locker room. I figured, so far so good. Then Coach Haskins came in and posted a list of the five guys who were going to start in the game, and my name wasn’t there. This wasn’t a great sign, as I’d been a starter the entire season. Coach said a few words of encouragement and then we headed for the court. I was always the next to last person out of the locker room before games. On that day, it felt like I was walking the green mile. When I finally passed Coach Haskins, he turned to me and said, “Nevil,” and I was just filled with dread and responded, “Yes, sir.” And he continued, “The next time you want to be Cassius Clay, make sure the other guy doesn’t get up.” And then he gave me a wry grin, and that was that. He had me scared to death. I’m very happy that I did get the opportunity to play in that game, because it turned out to be a classic. I didn’t play at all during the first half. To be honest, it didn’t bother me because I was just so happy that I hadn’t been kicked off of the team. I don’t think I would have played at all that game if David Lattin hadn’t found himself in foul trouble during the second half. You won’t find many better guard matchups in NCAA tournament history than Jo Jo White of Kansas against our leader Bobby Joe Hill. Kansas also had a great center by the name of Walt Wesley, which contributed to Big Daddy getting into foul trouble. 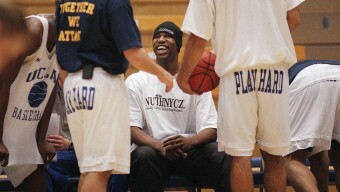 When Coach Haskins called my name to sub in, I jumped up off the bench, and before I landed I was out of my sweatsuit. I was ready to play. I tried to smother Wesley — my nickname was ‘The Shadow’ because of the tight defense I played. Someone asked me one time, “If you had to describe that Texas Western team in one word, what would it be?” and I didn’t hesitate before saying “cohesive.” There was no one guy that kept everything going. We were very much a team. That was our style of play. I’m not just talking about the seven African-Americans on the roster — I’m talking about all 12 of those guys. When I came into that game, I gave everything I had. It was closely contested, and it ended up being decided in double overtime with a play that I don’t think anyone who was there will ever forget. We were up by one point and Kansas had the ball. 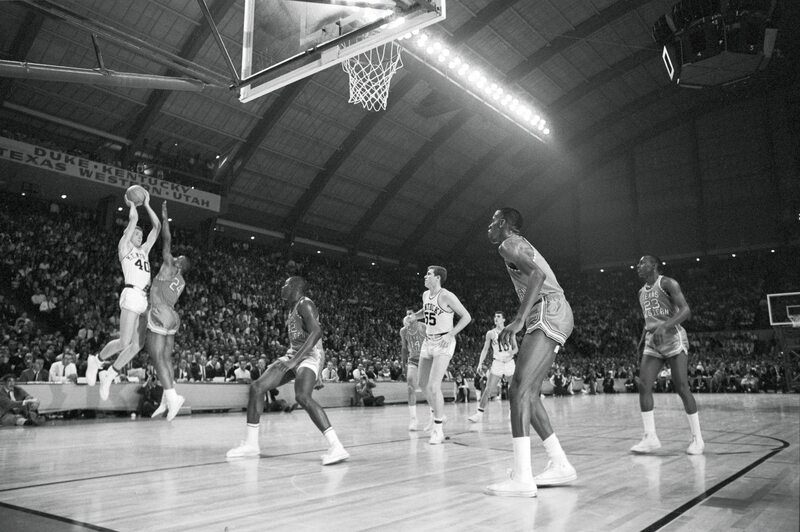 With Bobby Joe Hill right in his face and the clock expiring, Jo Jo White pulled up for a jump shot from what would have been deep three-point range (and mind you, this was years before the three-point line existed). And all I recall was just standing under the basket staring as the ball floated through the air in slow motion. I knew it was going to go in, I just knew it. When we saw it go through the net, the entire team just fell apart. The most memorable season of our lives had come to an end. But I looked over to the side of the court, there was a great referee by the name of Rudy Marich waving off the basket because Jo Jo’s foot was on the sideline. No basket. The rest was history. For the second time that day, I thought my season was over only to get a last second reprieve. Many sports fans have probably heard about what happened next: We’d make history by becoming the first team with an African-American starting lineup to win a national championship by defeating Kentucky. I’m proud and humbled to have hit the free throws that put us ahead in that game for good. A lot of people remember me for being a part of that Texas Western team that made history. But now you know how one bad boxing impression almost took it all away.